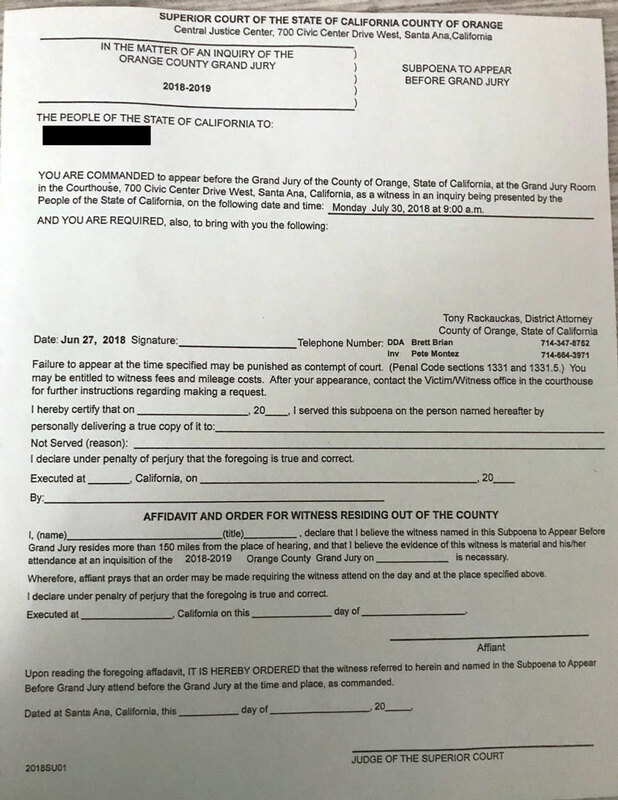 Numerous officers within the Fullerton Police Department are receiving Grand Jury Subpoenas like the one pictured below. Probably not a coincidence that the lucky recipients are, reportedly, the same officers on scene when former City Manager Joe Felz ran over the tree in November 2016. 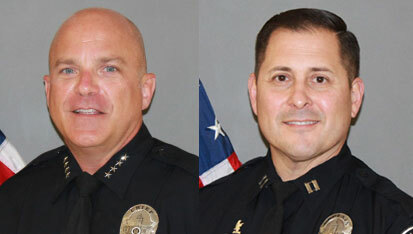 You know what, I’d really hate to be former police chief Dan Hughes, or former Sergeant Jeff Corbett, right now! Some of you might remember Fullerton’s previous attempt to deal with homeless persons at the train station. Those signs were removed not long after my blog post went live. Fast forward to this week, the City has tried once again with a different strategy — declare the train station a “Paid Fare Zone” with threats of citation and arrest. This attempt isn’t any better, taking the form of a metal scarecrow decorated with words. It is unlawful for any person to be upon any publicly or privately owned property at any time, except upon lawful business, or with permission of the owner or person entitled to the possession of such property. (Ord. 2799, 1992). I doubt that ordinance was intended to declare public property off limits merely on the basis of convenience, as they seem to be doing here. So it’s more than likely any attempt to enforce a “paid fare zone” under the guise of Trespassing would be decimated by a good, and maybe even a bad(!) attorney in court. Nevertheless, this whole thing demonstrates an embarrassing amount of ignorance on the part of City Hall and the Police Department. 1. The “Paid Fare Zone” Must be Violated to Buy a Ticket. 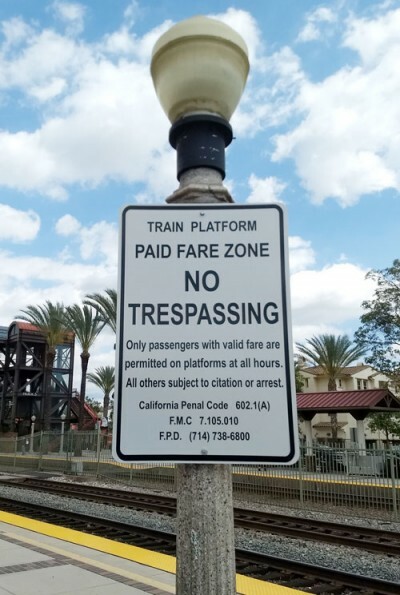 A person wishing to buy an Amtrak or Metrolink ticket must access the platform — and violate the “paid fare zone” — before they’ve had an opportunity to look at the schedule board or buy a ticket. Same story on the south platform, take five steps off this OCTA bus, and you’re immediately in violation. 2. Good Reasons Not to Have a Ticket. 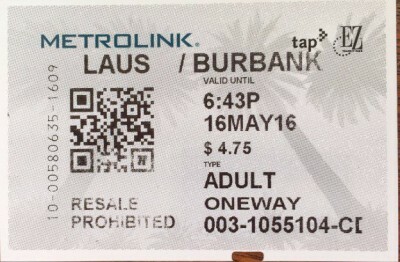 Metrolink tickets have a 3-hour time limit on One Way, and the first segment of a Round Trip ticket. Say you’re traveling somewhere like Ventura or Palmdale with a necessary layover in Los Angeles. A ticket purchased too early will expire before reaching your destination, and subject you to a possible citation. People in this situation often wait until the very last minute to buy a ticket. Note the ticket expires at 6:43pm, three hours after purchase. Amtrak tickets can be purchased on-board the train, meaning you won’t have evidence of a paid fare while on the platform. This is not the usual way of doing things as you would normally visit the ticket office. Nevertheless, they allow it. Both Amtrak and Metrolink have e-ticketing options that allow purchase up to the last minute using a smart phone. Any strategy that bullies passengers into buying tickets a certain way to comply with a “paid fare zone” is no good. Amtrak has two or three employees who remain indoors most of the time, and Metrolink has zero employees on site. There is no dedicated security or police force. Until this week, a person traveling alone could be accompanied by a friend or family member dropping them off until their train departs. But now, fewer people allowed on the platform makes everybody less safe. Who’s going to call the police, or intervene in a bad situation, if a lone passenger is being attacked and nobody else is around? Elderly or disabled passengers will have added difficulty getting around and hauling their luggage to the train. That’s because nobody is available to help. There are no luggage carts like at an airport, and no employees on an electric cart to assist. This is just another reason why a “paid fare zone” is a terrible idea. Instead of allowing a passenger’s loved ones on the platform to assist them on/off train and help carry their belongings, it’s just a matter of time before somebody falls and suffers a traumatic injury. My friend took the photo shown above. 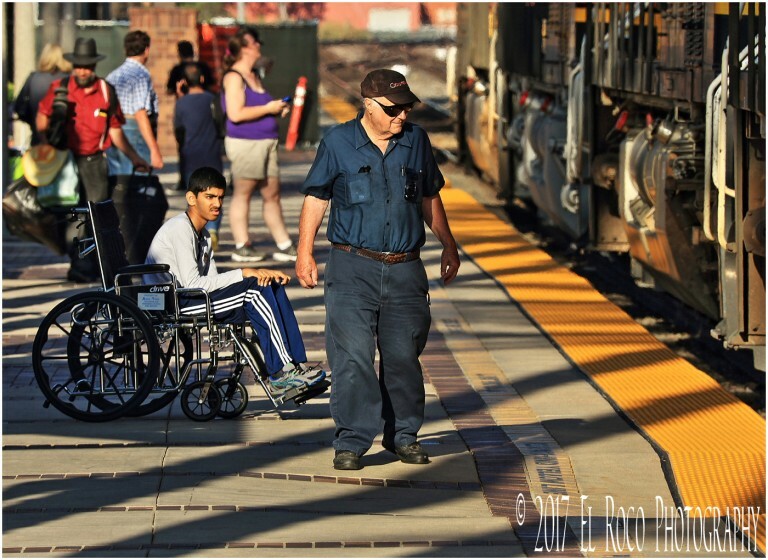 The man in the wheelchair cannot wheel himself around and is dependent on others to help him. How does the City expect people like him to get to/from the train when his caregiver must buy a ticket to legally be within the “Paid Fare Zone”? That’s not only ridiculous, but probably illegal under ADA laws that protect caregivers. 4. The Pedestrian Bridge is a Public Thoroughfare. 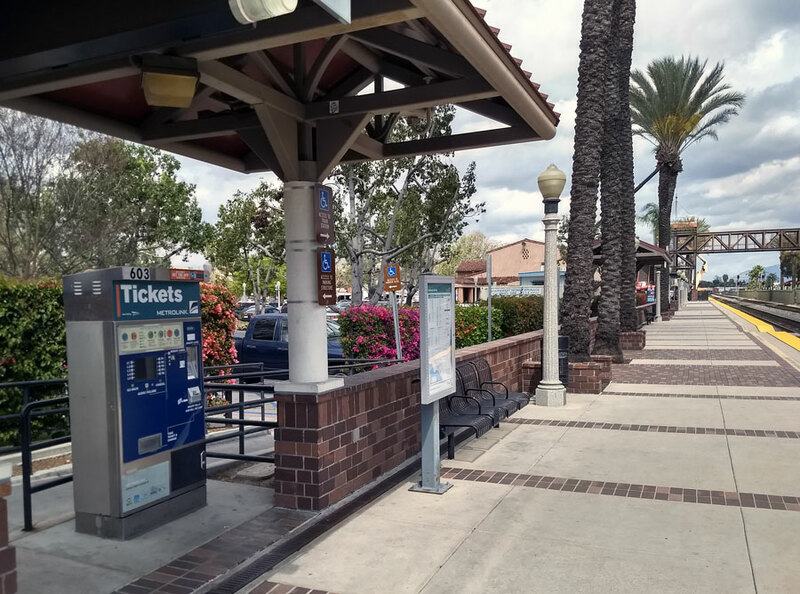 One of the justifications for building the pedestrian bridge in the early-1990’s was to connect the neighborhood south of the tracks with Downtown Fullerton so people didn’t have to cross the train tracks at ground level and risk getting hit by a train. 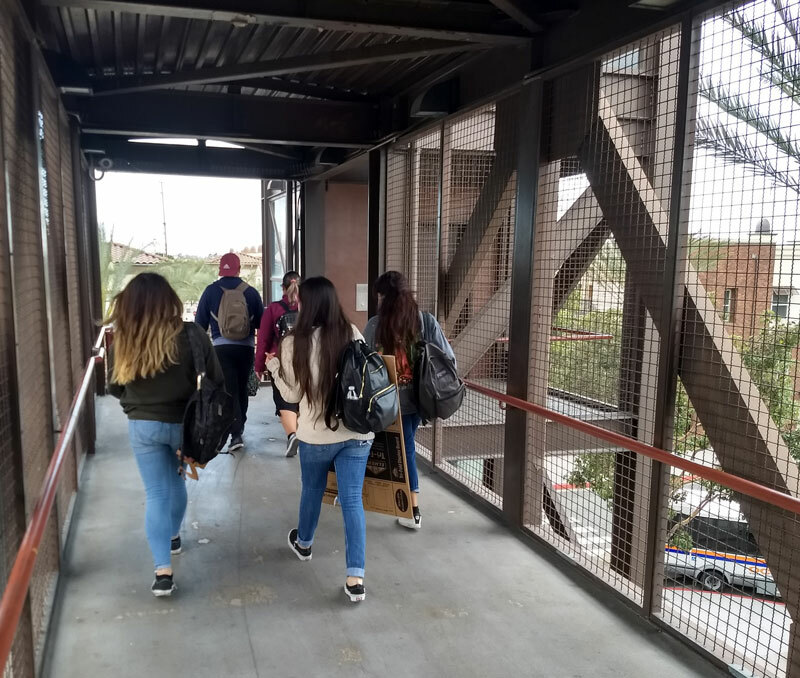 There’s literally hundreds of people who use the pedestrian bridge daily, many of them kids walking to/from Fullerton High School. But under the “paid fare zone” they too must enter the zone without a ticket and risk citation or arrest. People have visited the train station to watch trains and socialize with others for over a hundred years. There’s nothing inherently strange about it. Anybody raised in Fullerton was probably brought here by their parents at a young age to do the same. There are small, informal groups of railfans who do this on a more frequent basis and congregate on the platforms various days of the week. Some of these groups include current/former/retired City employees. We also have railfans from other parts of the United States, Canada, Europe, and sometimes Asia who visit Fullerton just for this reason, and they frequent many of the downtown restaurants. 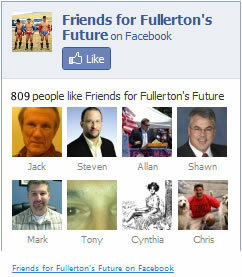 The regular Fullerton railfans are an extra set of eyes and ears for any sort of bad situation or suspicious activity. Railfans have pulled suicidal people off the railroad tracks, and have come to the aid of injured railroad employees or passengers before. They’ve also prevented high speed derailments at the train station by noticing track or equipment defects gone undetected. Many of the police calls for service originate with one of the railfans noticing something not right. All of these things make Fullerton a better place, all at no cost. To expel them from the platform because they don’t have a ticket is foolish. The fact these signs are intended to drive the homeless away should be painfully obvious. There’s no other justification to put them up. My sources at City Hall are saying FPD Cpl. Dan Heying in his role as Homeless Liaison Officer, Dave Langstaff and Ty Richter in Public Works, the City Manager’s office, and Deputy City Attorney Ivy Tsai are all involved. I’d like to believe this is an innocent mistake on the part of the City. But the speed at which the signs are removed (again) will be the real test. 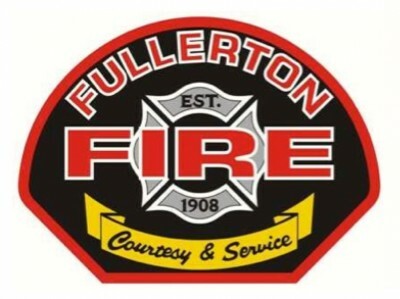 The City is in the process of approving a new labor contract with the Fullerton Firefighter’s Association. 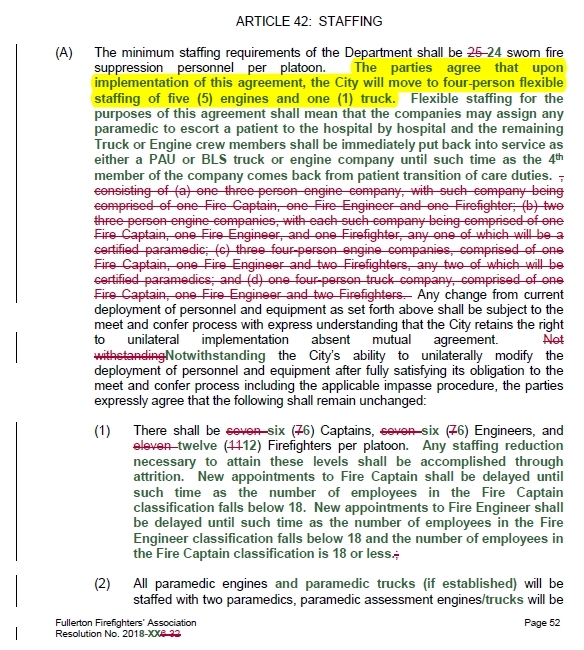 Buried deep in the agreement on page 52 is this nugget — the City will be going from six (6) engines to five (5) engines. We’ve had six fire engines in Fullerton for many, many years. At no time has the City come forward with any candor to admit to this change, except when I brought it up during the previous City Council meeting. Even then, none of our council members seem to care very much. This change may well result in every property owner in the City paying higher property (fire) insurance rates. One of the factors that insurance companies use to determine rates is the Insurance Services Office (ISO) Public Protection Classification (PPC) score calculated for every fire district around the country. The ISO score takes into consideration many factors, including the strength of the fire department and the City’s water supply. More specifically, the fire department score includes calculations for the number of engine and truck companies, their locations around the City, and the number of firefighters on duty. The fire union agreement, set for final approval on Tuesday, reduces the level of staffing by 1 position per rotating shift, which will further reduce our score. 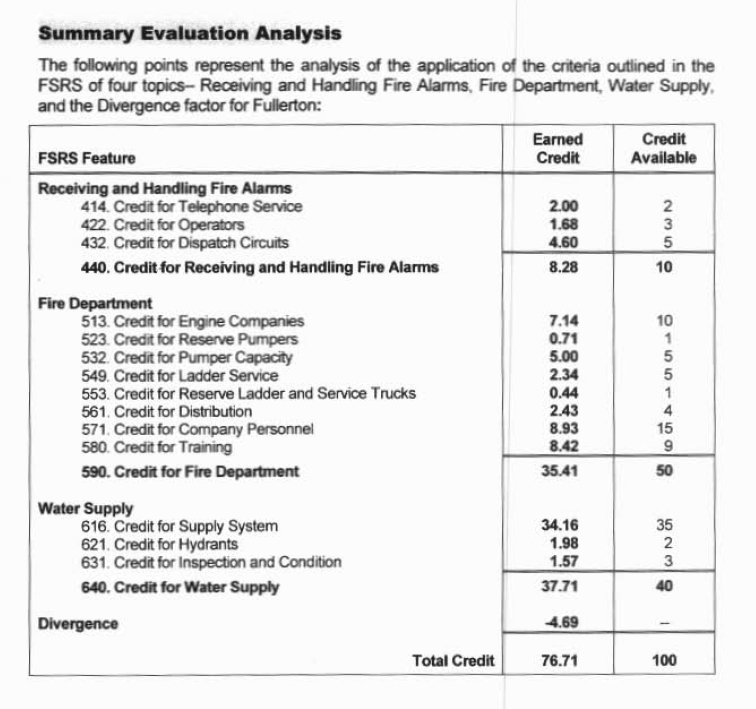 Fullerton scored 76.71 points out of a possible 100 the last time ISO evaluated the City of Fullerton in 2012. This equates to an ISO PPC “class” of 3 on a scale of 1 to 10 (with 1 being best). You can read the full report here. As much as the City wants to rubber stamp the agreement and forget all about it, this is very much a matter of public policy that warrants further discussion. We will likely pay more for homeowner’s insurance due to the City having one less fire engine in service. Pay more in homeowner’s insurance premiums in return for less fire department staffing and resources? Pay more in taxes to maintain the current level of fire department staffing, and, hopefully, preserve lower insurance premiums? Pay the same amount in taxes, for the same, or even improved levels of fire department staffing, by forcing the firefighters to contribute more toward their pensions? This is a choice that needs to be made now before going any further. I suggest attending Tuesday’s meeting prepared to speak, and/or send your thoughts to [email protected]. 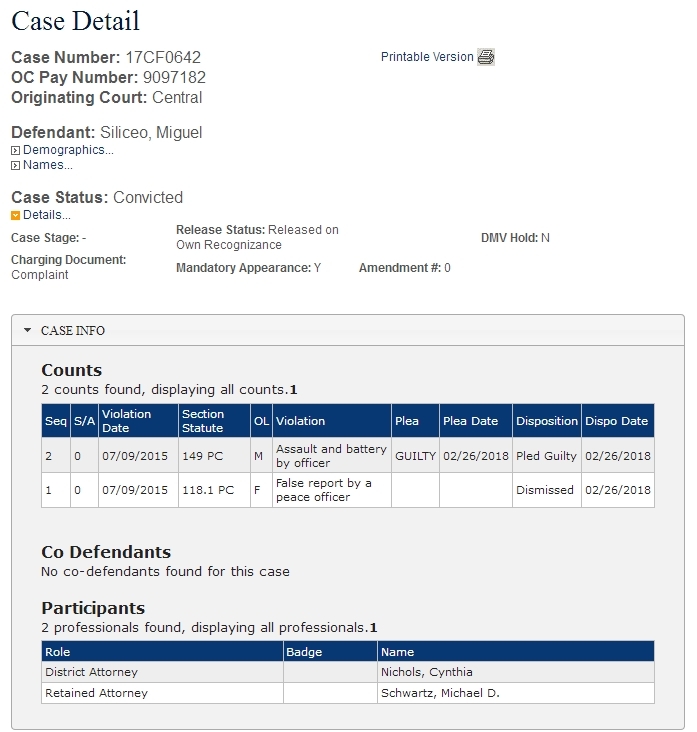 Those who saw my post from the other day would probably be interested in Sonny Siliceo’s misdemeanor plea and sentencing documents. 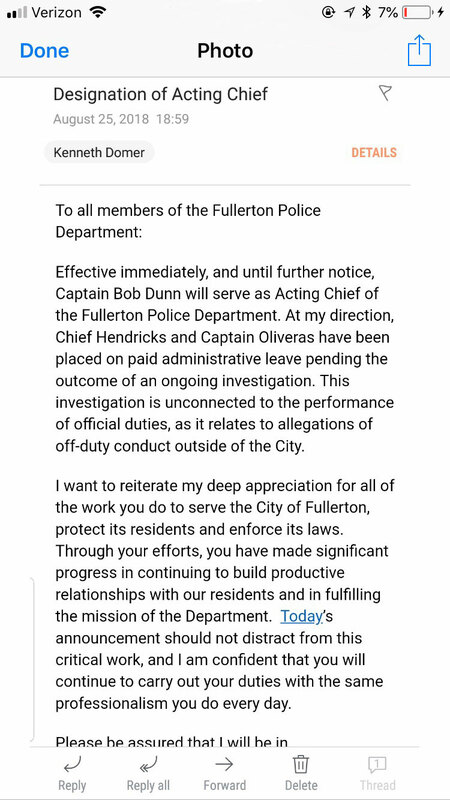 On 7/9/15, I was a police officer employed by Fullerton Police Department and on this date I did use excessive force by assaulting John Doe while acting under the color of authority. Additionally, I knowingly & intentionally filed a false police report with Fullerton Police Department in case number 15-44269, making a material false statement regarding the commission of a crime. There you have it, everyone. Sonny just admitted to being a corrupt police officer. Now that he’s unemployed, one can only hope this is a positive step forward for the Fullerton Police Department. Your Fullerton City Council majority — consisting of Fitzgerald, Chaffee, and Silva — made one of the worst decisions in recent memory last night. Desperate to protect their pensions, and to keep pension contributions at a minimum, the Fullerton Police Officer’s Association (FPOA) approached the City about extending their contract. They voted yes. CalPERS pension costs are skyrocketing as a result of poor investment returns, and far too optimistic rates of return. To “correct” this problem, CalPERS is demanding the City of Fullerton pay more in the years ahead. 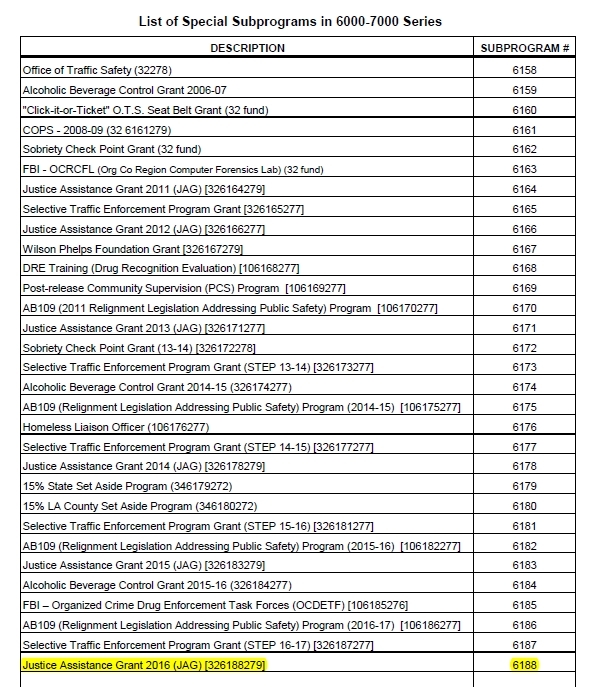 The table shows pension costs for FPOA members which consist of Police Officers, Police Corporals, Police Sergeants, and a small handful of non-sworn civilian employees, such as Police Dispatchers. The table above uses the current fiscal year as a baseline (on the bottom row) to get a feel for the pain ahead. 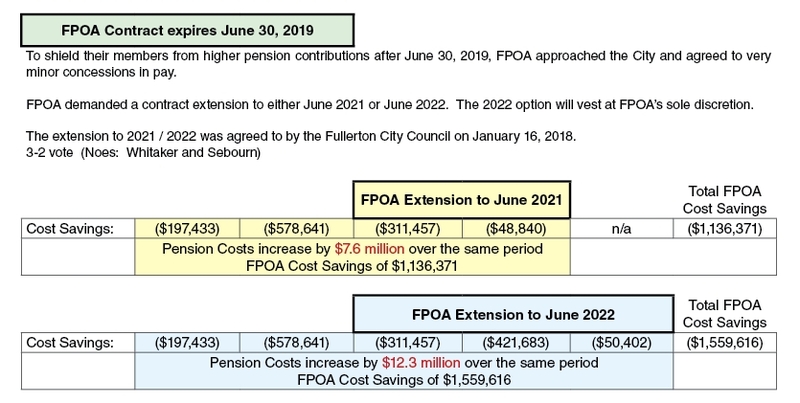 Beyond the current fiscal year, the projected pension costs for FPOA employees will cost Fullerton residents — at the very least — an additional $12.3 million through June 2022. That’s $12.3 million of new money the City of Fullerton doesn’t presently have. The timeline of the FPOA contract status is illustrated above with the agreed to “concessions” which are disingenuous at best. As noted, the contract extension runs to 2021 at the earliest, and possibly 2022 if FPOA decides to exercise that option. You might be thinking to yourself, wait a minute, if their current contract expires June 30, 2019, why not negotiate a new contract at that time to get a better handle on the escalating pension costs? That’s precisely the problem. Instead of acting in good faith for Fullerton residents, council members Fitzgerald, Chaffee, and Silva rolled over to satisfy the public safety unions that paid big money to help them get elected. The worst part about the FPOA contract, and the extension handed out last night, is the City cannot reopen negotiations to combat rising pension costs. The promises are now etched in stone through 2021 or 2022 regardless of what CalPERS does. All very troubling, not just for basic principles, but because the California Supreme Court is expected to rule in 2018 on the so-called “California Rule” which prevents government agencies from reducing already promised pension benefits. The court’s decision will carry significant implications either way. If they overturn or modify the “California Rule,” Fullerton could have sought to renegotiate FPOA pension benefits upon the expiration of the contract in June 2019 and saved Fullerton residents millions of dollars. Conversely, if the “California Rule” is upheld, CalPERS will likely respond by further lowering the discount rate (assumed rate of return). A lower discount rate will cost the City of Fullerton tens of millions more in the coming years. At last night’s meeting, the introduction of a new financial forecasting tool was presented earlier in the night, before the FPOA extension came up for a vote. The gentleman making the presentation noted that his model predicts a U.S. recession in the year 2020 — right in the middle of the FPOA extension. I was at the meeting and brought this up when it came time for the FPOA vote. I also pointed out that Fullerton’s brand new City Treasurer, who started on January 8th — just eight days prior — should be given a chance to review the FPOA proposal and offer his thoughts to the City Council. After all, the existing FPOA contract didn’t expire for another 18 months, so what’s the rush? Council member Sebourn registered his opposition to the FPOA proposal, and then, without another council member saying a word, it passed with a 3-2 vote, Sebourn and Whitaker voting no. 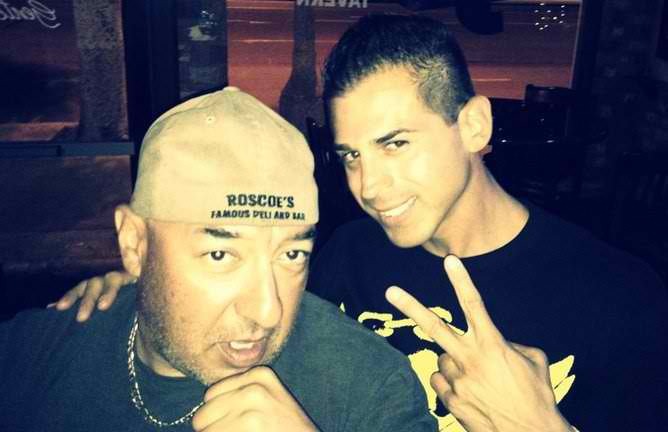 Last night’s recklessness puts us a couple steps closer to municipal bankruptcy. When the Library is forced to cut hours or close completely, when Parks and Recreation has to shutter the community center, when Public Works has to stop paving streets and repairing broken water mains, you now know exactly which three council members to thank. It was failure on full display. As usual. 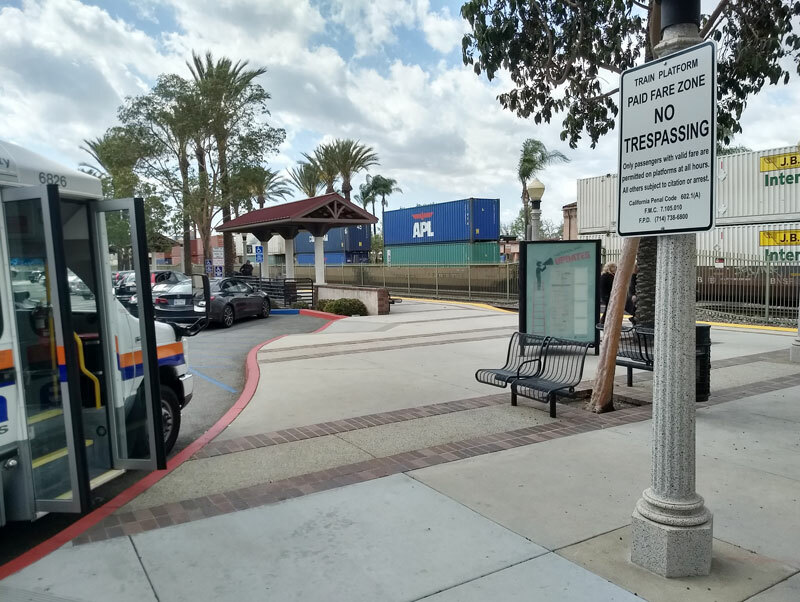 A few months ago, I pointed out bogus signs at the train station which cited non-existent instances of the Fullerton Municipal Code. Those signs were removed a short time later. Here we have a similar sign posted at the Wilshire Avenue parking structure. 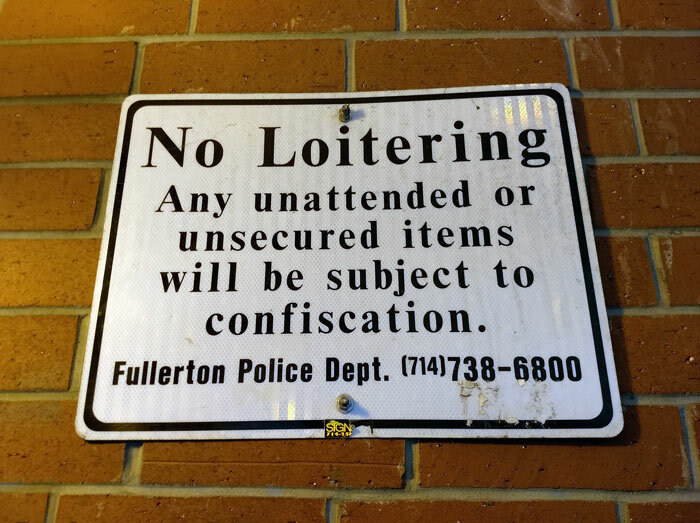 Fullerton does not have a “No Loitering” ordinance that could be used here. The second part, warning about confiscation of property, only comes up in Title 9, which covers parks — not parking structures, nor anywhere else in the City. 9.12.530 Enforcement — Seizure of property. The Director, park attendants, parking control officers and police officers are authorized to seize, confiscate and hold for the City any property, thing or device in the park used in violation of this chapter. (Ord. 1900 (part), 1973: prior 4320.9(3) — Ord. 999 § 1, 1959). Nowhere in 9.12.530 does it address “unattended or unsecured” items. Even if the City wanted to play word games, and say the parking structure is part of the park and museum immediately adjacent to it, the sign doesn’t even agree with the code. Perhaps that is why the sign makes no mention of the Fullerton Municipal Code — there’s nothing to cite because somebody made it up. So the next time City Hall tells you such and such is the “law” you should probably take that assurance with a grain of salt. Anyone following my recent posts knows the City has a problem with proper usage of the VISA procurement cards. Below, we have a door opener purchased by Fire Captain Bil Gallio and shipped to the family business — Gallio Motorsports. Given the nature of the item, this may have been a legitimate City purchase and shipped to the wrong address. Fullerton doesn’t have a centralized ordering point, or a designated person, for Amazon.com purchases. Instead, employees order items for the City using individual Amazon.com accounts, which for most people, are probably used for personal items as well. That means home and work purchases are co-mingled together in the same account. That could easily explain items shipped to the wrong address if the employee making the purchase forgets to override the defaults stored by Amazon. 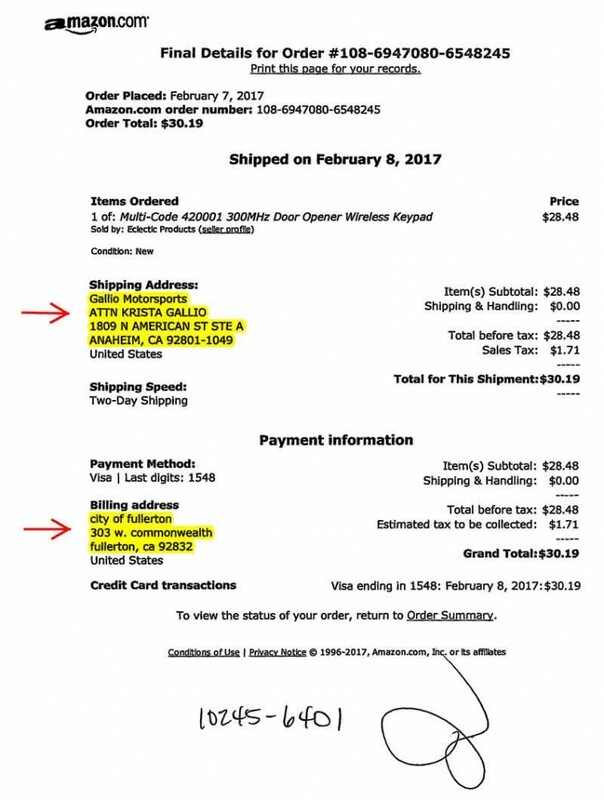 Lest anyone think I’m constantly throwing rocks without ever offering a solution, here you go: Amazon Business for Government Nearly every instance of improper spending could have been prevented using that tool. It was paid for with money from the state from Prop 69 you morons. You can purchase items that are related to dna collection. Google is your friend. Captain Siko, and the person leaving the comment, are both wrong. They charged the freezer to special subprogram 6188, which is the Justice Assistance Grant 2016. The page below is from the Chart of Accounts posted to the City website. The Justice Assistance Grant is Federal funding offered to state and local law enforcement for various purposes. JAG awards are not at all related to Prop 69 revenues. Fullerton’s share of the funding comes via the Orange County Sheriff’s Department, who is charged with managing compliance. 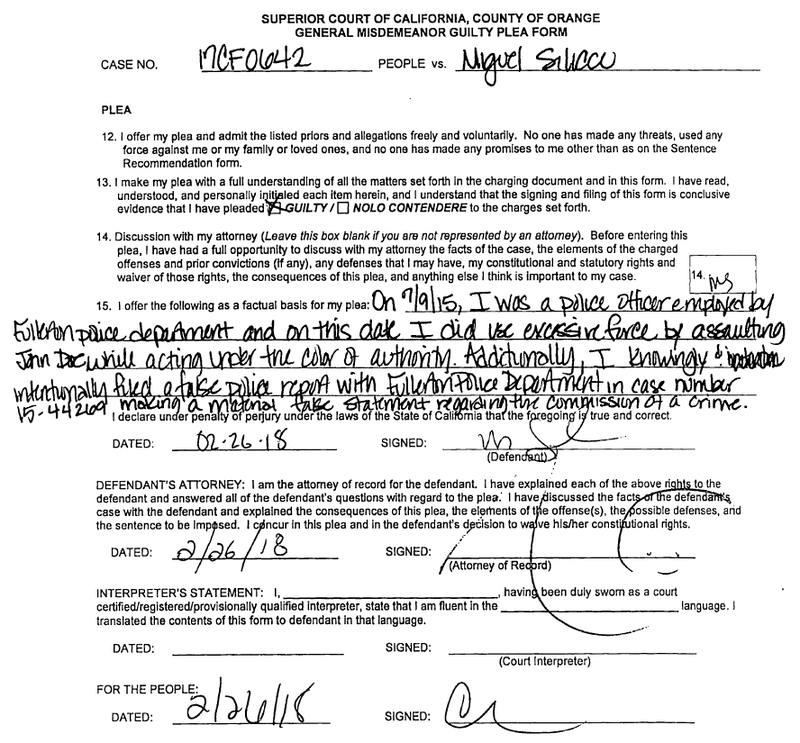 No lawyer is needed to see that Fullerton has a compliance problem. The full agreement can be found here but I’m going to post a few snippets below. any, for which Attachment A specifies that SUBGRANTEE may utilize grant funds. B, C, D or E hereto.